On 7/25/13, MedFriendly, LLC, published the most comprehensive online review of red blood cells on the internet. 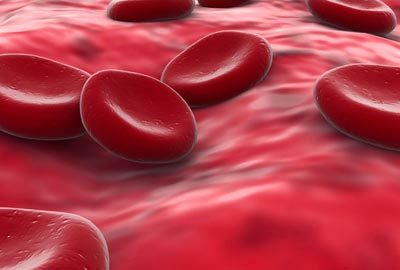 Red blood cells are cells that circulate in the blood that specialize in delivering oxygen to the body’s tissues. Comprehensive topics are covered such as how red blood cells are made and reasons for high and low red blood cell counts. The entry is also written in an easy to understand format which will be helpful for older individuals and their families who are trying to learn about this important cell that is routinely tabulated during routine blood tests. The red blood cell entry is the latest in hundreds of easy to understand entries available for free at MedFriendly.com. All entries on MedFriendly are written in an easy to understand format, with all complex terms defines within the same entry. This prevents the reader from needing to do extra research to understand what the writer is trying to convey. All entries are written on a single page, exposing the reader to fewer ads. Please share this link with others, bookmark MedFriendly and the MedFriendly Blog, and follow us on the MedFriendly Facebook and Twitter pages. Animal therapy is a growing aspect of treating psychological conditions with our furry (and sometimes not-so-furry) pets and friends. One growing trend in animal treatments is equine therapy, the use of horses to help psychological issues, developmental challenges, or emotional growth in patients. Riding on a horse, even if it is only infrequently, allows a patient to develop a bond with the animal that creates confidence, trust, social skills, and self-value that may have been difficult to foster using traditional therapy. 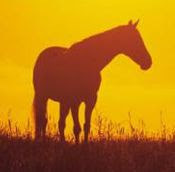 Equine facilitated psychotherapy is a common method of treatment for many conditions. What makes a horse such a helpful companion to development and therapy? Horses are different than other pet therapy animals like dogs: though both are social animals, dogs are eager to please while horses are much more aloof. Horses respond to commands, but do not do so in ways that a human would expect: yelling or clapping or whistling does not do much to stir them, leaving patients with the lesson that not all problems in life can be overcome with yelling. Rather, horses obey commands when they trust the person giving them, creating a lesson with patients about the need to trust on both sides of a relationship, even if one is giving more commands than they receive. One of the first lessons that a patient will learn with equine therapy is how to get your horse to come over to them without actually touching the animal. This can be used for patients with social anxieties or who need to develop a sense of confidence; it is a common exercise at a drug rehab facility on a horse ranch. The students who can figure out how to cajole a horse and come to their side will then learn how to lead a horse out of its pasture, and finally how to ride it. One of the great moments in equine facilitated psychotherapy is where a horse allows a patient to ride. This can be an exhilarating experience for a patient, since getting around by horse is so different than a bicycle or car. Riding a horse requires a patient to develop a connection, minimizing their feelings of isolation while giving them a new perspective of teamwork and cooperation. Since the horse is a steady and methodical animal, it works to increase a patient's impulse control and patience as they learn how to ride. How Do Energy Healing Techniques Work? Energy healing is a holistic approach to healing and health. Healers believe that physical and emotional health problems can be treated with directing healing energy to the person. 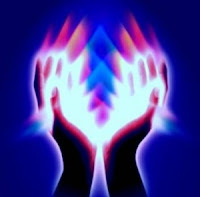 Most healers use energy healing techniques that involve transmitting energies through their hands, sometimes by placing the hands on the person and sometimes holding the hands just above the body. Energy healing techniques include spiritual healing, Reiki and other methods, but all are based on similar principles. The theory behind energy healing is that there is a natural life energy that flows in everyone, and when that energy is blocked, illnesses can result. The job of the healer or the Reiki practitioner is to direct energy from a higher source to the client. Some practitioners talk about universal life energy and some talk about divine energy. In all cases the healer is said to connect to this universal life energy and transmits it to the client. Clients often describe feelings of warmth or relaxation during a healing session. Many people feel the energy as heat that radiates from the practitioner's hands. Most clients feel relaxed and peaceful after the treatment, and many say they have slept better than for a long time. Even animals react to healing, and Reiki healing has been especially popular when treating domestic pets. Reiki can be used to help animals that are nervous or tense, and it can be used together with veterinary medicines and treatments. Different practitioners learn their energy healing techniques in different ways. Some people recognize their own healing abilities early on in life, and some start to learn healing later. Some work as full-time energy healing practitioners, and others give occasional treatments to family and friends. To become a Reiki practitioner you will need to study with a Reiki Master Teacher. The master helps you to connect to the universal Reiki energy in a process called "attunement". The student always works together with the master over a period of time to discover his or her healing abilities and to tune into the energies. Reiki healing and energy healing are used to relieve stress and tension, to bring relief to emotional imbalances, and to speed up the body's natural healing abilities in many other conditions. Healers do not claim to treat illnesses or to provide medical services. However they can often provide healing and comfort while the patient is receiving medical treatment. Urinary incontinence is a condition where the bladder is unable to store liquids, resulting in involuntary urination. Urinary incontinence occurs in both genders, but it is more common in women. There are several types of urinary incontinence, and they all have different causes and treatments. Stress incontinence occurs when there is pressure, or stress, on the bladder that causes small amounts of urine to leak. This stress can occur with exercise, sneezing, and even laughter. Stress incontinence is usually caused by weak pelvic floor muscles. The pelvic floor muscles can be weakened by age and childbirth, as well as certain medications. Urge Incontinence is characterized by a sudden, urgent need to urinate. Urge incontinence could cause large amounts of urine to leak, and sometimes the urge is so sudden that it's impossible to get to the bathroom in time. Urge incontinence is usually caused by nerve damage or by damage to the bladder muscles. Neurological diseases, such as Parkinsons, and long-term drug and alcohol abuse can contribute to the nerve damage that causes urinary incontinence. Overflow incontinence occurs when you can't empty your bladder properly causing it to leak, or overflow, when it fills up again. This form of incontinence is more common in men, and can cause varying amounts of urine to leak from the bladder. Overflow incontinence can be caused by an enlarged prostate, weak bladder muscles, and tumors or other structures, blocking the flow of urine. Functional incontinence occurs when an external influence prevents someone from going to the bathroom in time. These external influences could include mobility issues, impaired motor skills, or mental and cognitive issues. This type of incontinence does not directly affect the bladder, and can involve a variety of ancillary factors including arthritis and traumatic brain injury. Treatments include exercises to strengthen the pelvic floor muscles with Kegel exercises or weights, pessaries that help reduce leakage, and biofeedback monitors. Cases of extreme pelvic floor weakness could require surgery to reposition the bladder. While the incontinence is active, patients can wear incontinence pads to trap minor leakage. Incontinence pads are similar to menstrual pads but they are designed specifically to deal with the moisture and odor associated with urine. If the leakage is heavy, or it the patient suffers from more than one type of incontinence (or mixed incontinence) adult diapers might be necessary. Urge incontinence is usually treated with medications that prevent the bladder spasms that cause the immediate urge to go. Lifestyle fixes, like bladder training and timed voiding, can be used in conjunction with the medication. Bladder training involves keeping track of when the urge hits and attempting to avoid situations that might cause a spasm. Timed voiding is intentionally emptying the bladder before it has a chance to spasm. As with stress incontinence, patients can wear incontinence pads or adult diapers to avoid soiling their clothing. In some cases, treating the underlying condition – such as removing an enlarged prostate – can correct the condition. If muscle or nerve damage is the issue, surgery or medication could be the solution. For patients with mobility or memory issues, bladder training and timed voiding can help. In either case, protecting the clothing with pads or diapers can have positive psychological effects. In life, moderation is very important, but many are times when humans go overboard and when this happens, dire repercussions usually follow. One of the areas where excess can be very dangerous is alcohol consumption. Be this as it may, there are millions of people across the country who are struggling with alcohol addiction. Excessive consumption of alcohol can cause liver and brain damage; heart failure; increase the risk of diabetes among other things. 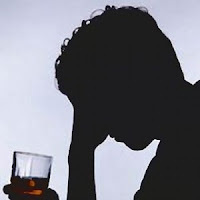 From a social perspective, alcohol addicts are more likely to abscond from their duties as parents, employees etc than those who don't drink or do so moderately. Needless to say, alcohol addiction is a very dangerous disease and should, therefore, be dealt with as soon as it manifests. For males who are affected by this problem, help is readily available. One can sign up for a men only drug rehab program either on an inpatient or outpatient basis. Different approaches can be used to fight alcohol addiction including the holistic approach to recovery which has been proven to be quite effective over the years. One of the main reasons why the holistic approach works so well is because the focus is not just on healing the body but the mind and spirit, as well. The aim is to bring about balance in an individual; balance is what promotes well being and consequently healing. Various techniques are used under this approach including massage, mediation, healthy eating, body cleansing among others. Alcohol rehab treatment programs for men are specifically designed with men in mind. This means that all those who run the program are well aware of the typical challenges that men are faced with on a daily basis. As mentioned, these programs are available both on an inpatient and outpatient basis. Inpatient alcohol treatment programs require that one checks into a rehab center where they will remain for a specific period of time. While there, addicts don't have to worry about cooking food, cleaning laundry or any other such chores because there are people who are employed to do just that. On the other hand, outpatient addiction treatment for men only requires part time dedication. This means that addicts can continue with their day to day engagements as they receive treatment. Before signing up for an alcohol treatment program or checking into a rehab center, it is important to carry out sufficient research. Fully familiarize yourself with all the options available so as to be able to make the most informed decision.